From The Wordsworth Dictionary of Dreams, 1994. 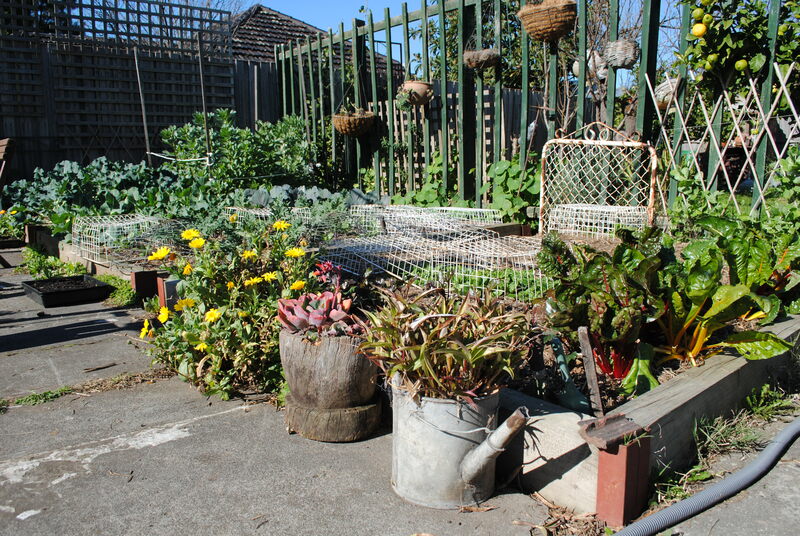 I was always taught to tread as lightly on the planet as possible, so much of what makes up my garden is foraged or scavenged, from the side of the road, from skips, garage sales, op-shops, country markets, or has been passed on by friends. 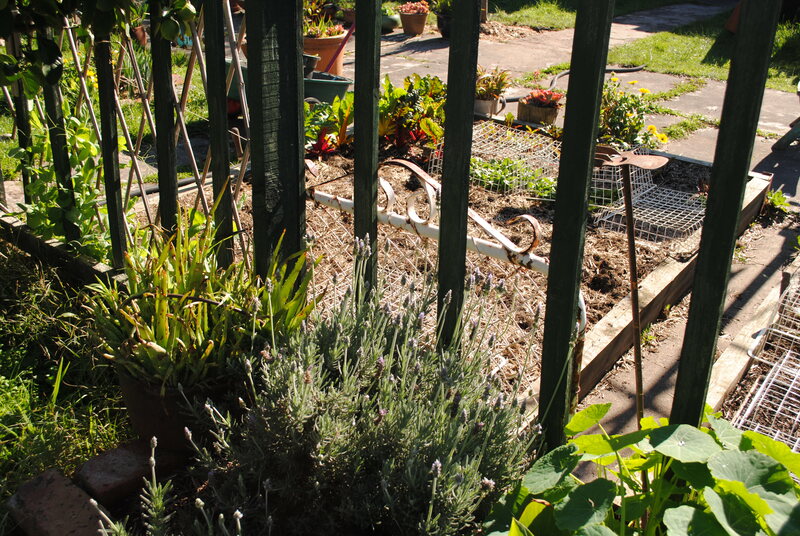 Sometimes we head out scavenging with a mission, trawling through skips for a definite object or objects. Other times, I screech to a halt while driving (always checking my rear view mirror), because something on the side of the road has caught my eye (my kids have got over their embarrassment at my antics, I think). And I look forward to the cyclical hard trash collections as though they were Christmas. 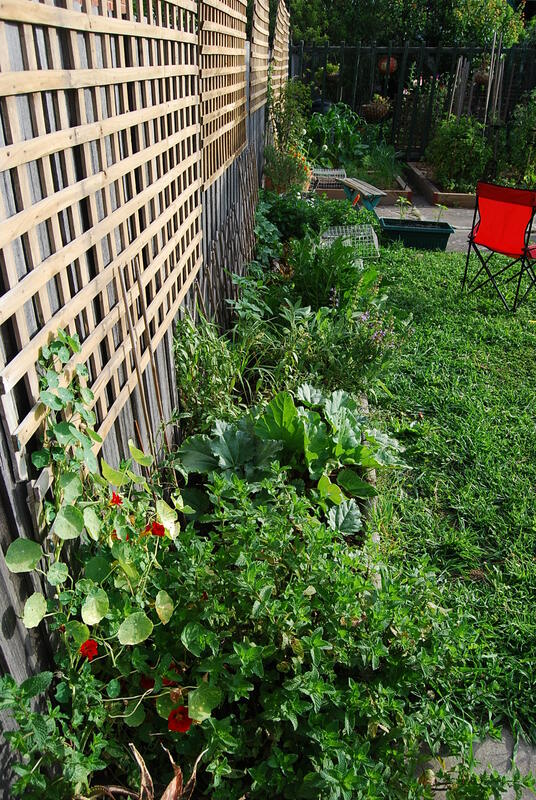 Finders keepers: Pretty much everything in the above photo was scavenged, except for the timber used for the garden beds. 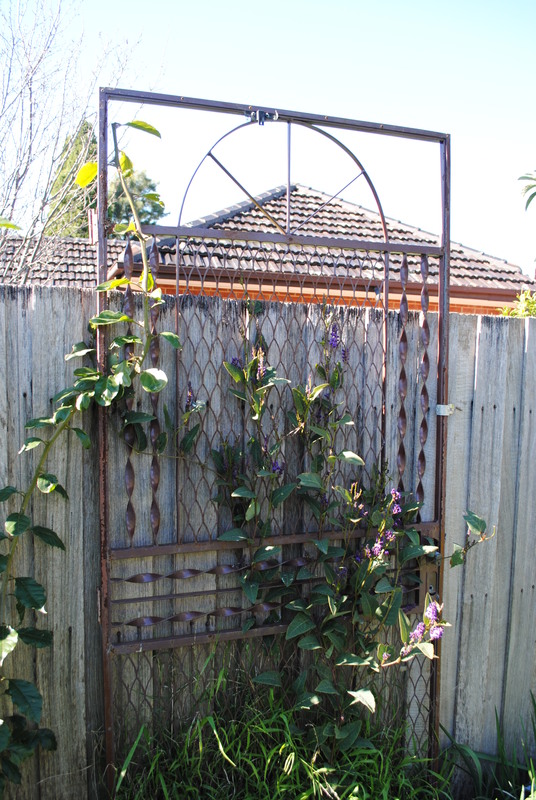 Trellis: The metal innards of old screen doors, often thrown out on nature strips or in skips during renos, make great trellises. 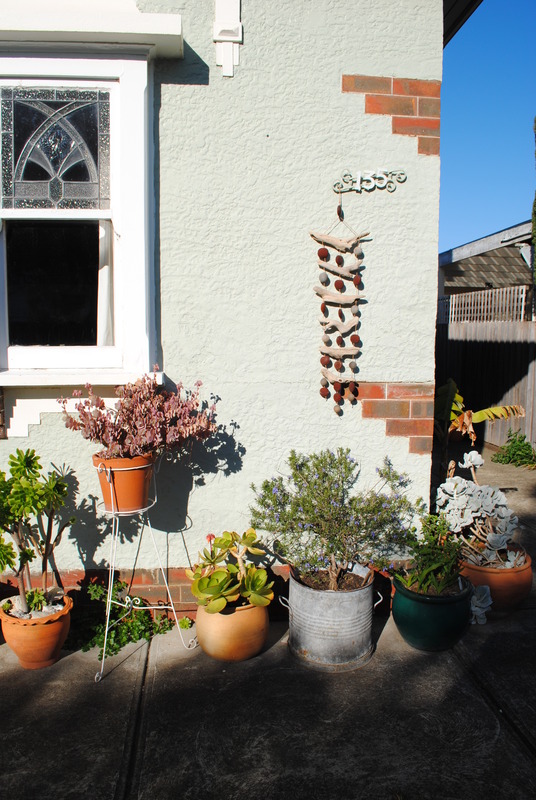 Pots: The vast majority of my pots come from garage sales, hard trash, or from re-using a variety of found receptacles, such as the old builders’ lime tin (right), which my rosemary seems to love. The two white pot stands were left out on the nature strip around the corner. 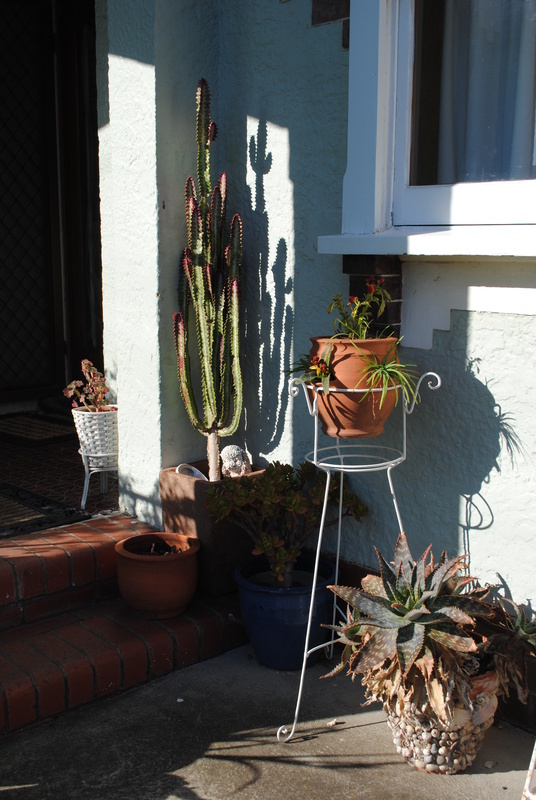 And most of the succulents were scrounged from other gardens; I have a policy of not buying succulents – they’re too easy to strike. 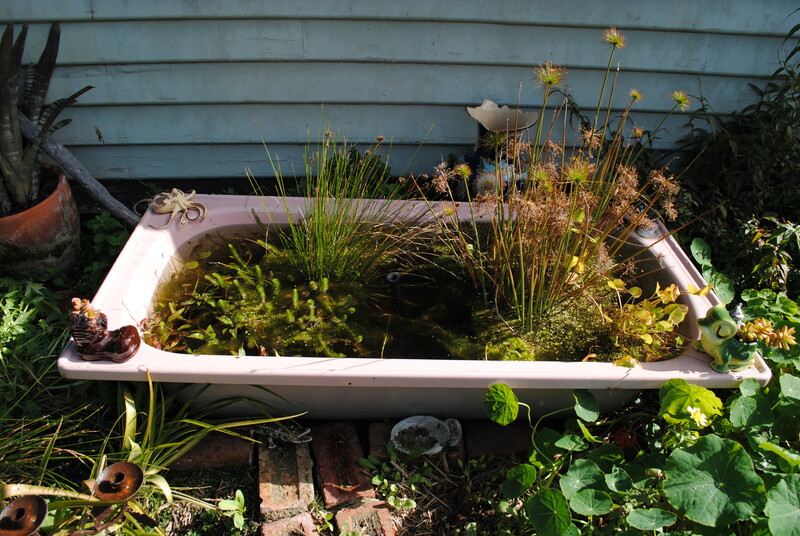 Fish pond: There are no words to express just how much I always wanted an old bath to turn into a fish pond, and this one was scavenged from a friend. And there are no words to express just how happy I am to have my pond and my fish. Lattice: I found all this lattice in the street, leaning against a light pole, just begging me to claim it. 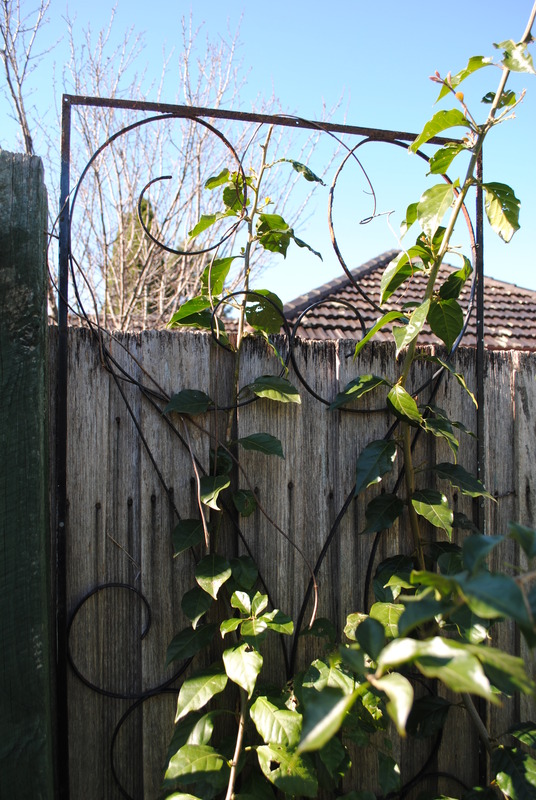 Photo on the left shows the lattice before passionfruit (BP); on the right shows the passionfruit two years down the track (AP). 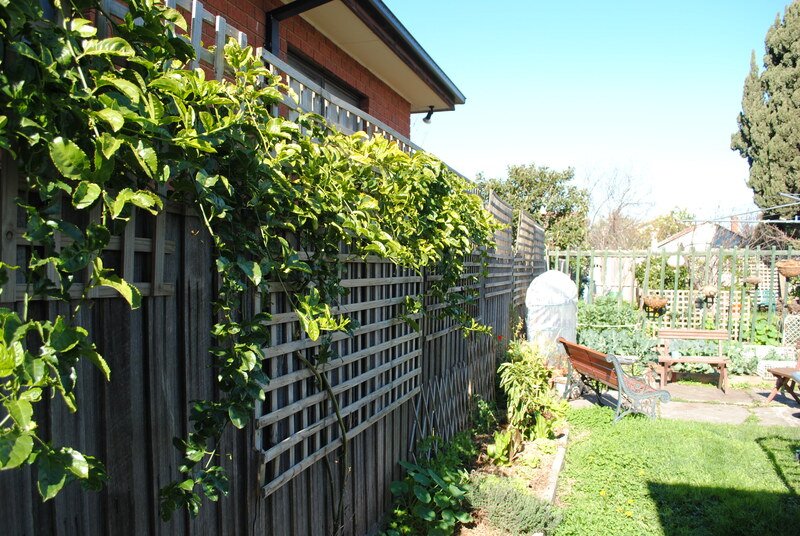 Stumbling across this mass of lattice saved us a heap of money, and provided a bit of protection from and for the neighbours. 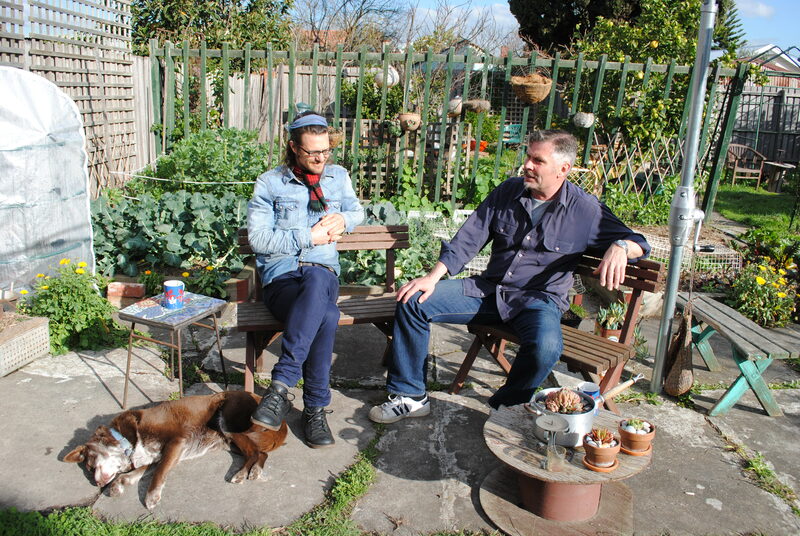 Finally, just yesterday, Stefan noticed a couple of wooden garden seats on the nature strip in the next street down. Yesterday afternoon we swung by and shoved them in the back of the car. 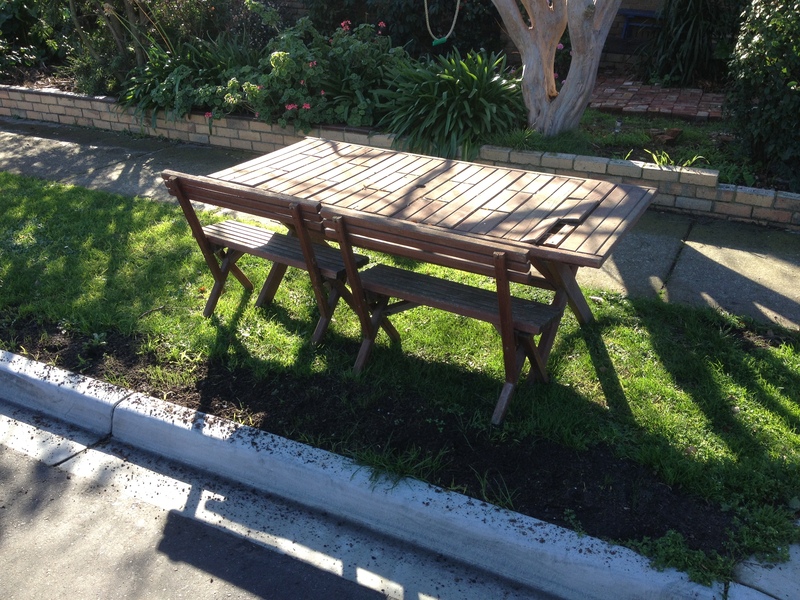 We left the table for someone else, as it was a bit worse for wear and we’ve already got a lot of tables. New (old) garden seats: the top photo shows the seats on the nature strip, and then here they are in the garden, as though they’ve always been there. Old cable spools make great tables and old saucepans make great pots. Albie the dog was also found in a street, 11 years ago now. Send The Buzz your scavenged or foraged creations and I’ll show them off.